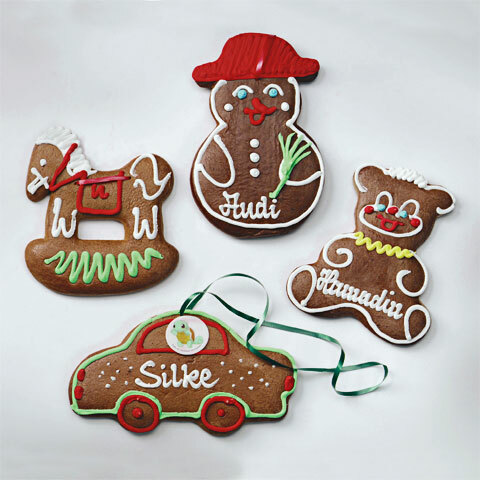 Lebkuchen, which is very similar to gingerbread, is a traditional holiday treat that has been around for centuries, invented by monks in Franconia, Germany in the late 1200s. This Lebkuchen recipe comes to us courtesy of Chef Mirko Peters of Uniworld Boutique River Cruise Collection. Try decorating them with frosting for an especially festive holiday treat! DIRECTIONS- Stir together dry ingredients. • In a separate bowl, beat the egg. • Add the brown sugar and beat until fluffy. • Stir in honey and molasses and beat until well mixed. • Add dry ingredients to the mixture, stirring well until combined. • Stir in nuts and fruits. • Chill overnight. • Roll chilled dough on a floured surface into a 14-inch square. • Cut into 3 1/2 x 2-inch rectangles or use cookie cutters to form the desired shapes. • Place 2 inches apart on greased cookie sheet and bake at 375°F for 12 to 14 minutes. • Let cool 1 minute before moving to wire rack. • While Lebkuchen is baking, make the lemon glaze. • Combine all ingredients and mix well. • Brush onto the cookies while they are still warm.